The Codelock CL290 is a light duty back to back mortice latch for code in / code out access control. 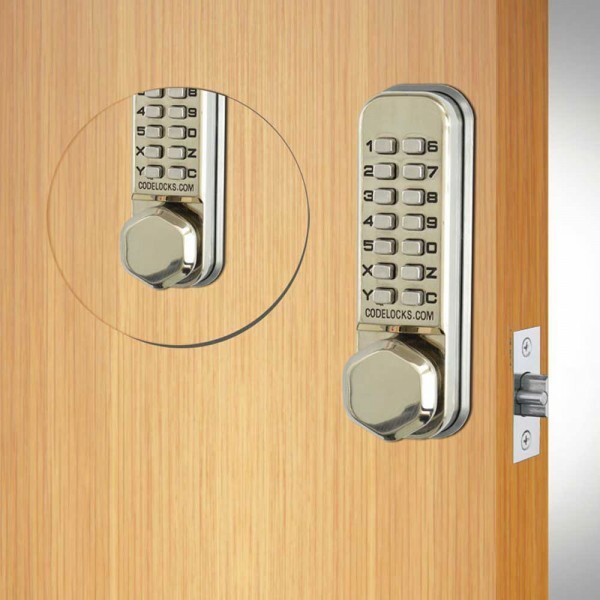 The lock is suitable for internal low traffic door and can also be used on sheds and low level access doors. PVD weather resistant, low maintenance finish. Easy code change as often as required. To change the code the lock must be taken off the door. 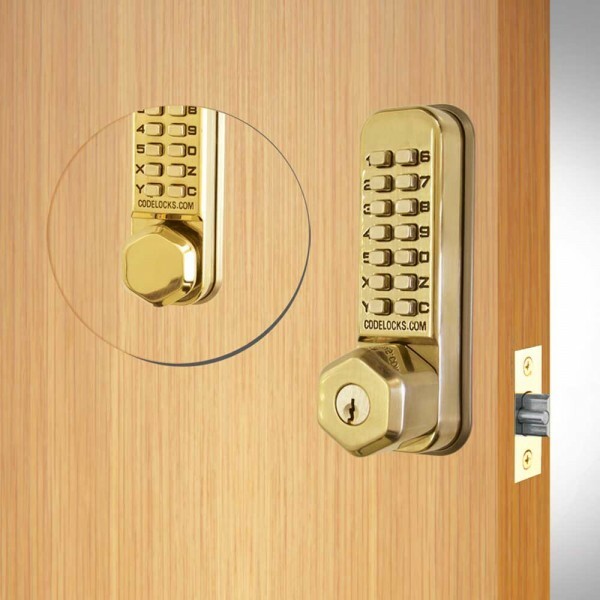 The CL290 Back to Back Codelock has code pad on both sides of the door which require a code to be entered to go into or leave a room. Mechanical retraction of latch upon entry of correct code. Non-sequential code. Non handed units. Reversible latch. Protective clutch mechanism. Digital keypad for entry/exit. Suits 35-65mm (1 3/8 in - 2 1/2 in) thick doors. Weather Resistant. Outside : Thumbturn on operation of code. Inside : Thumbturn on operation of code. No. Of Codes : One - always prefixed by ‘C’. Combinations : Several thousand. Code Length : 4 to 6. Latch : 12mm mortice deadlatch.